British Novelist and well-known author C.S. Lewis once said, “You are never too old to set another goal or to dream a new dream.” This is what Kristine Ian De Guzman, a single mother and graduating student at Ilocos Sur Polytechnic State College, believes in life as she pursues her dreams despite of financial difficulties. “After taking BS Nursing in 2005, I stopped my studies abruptly and focused instead on getting a job. When I gave birth to my son, I knew there will be no chance for me to finish my studies,” explained De Guzman. But her son who serves as her biggest inspiration gave her hope to fulfill her dreams. Despite her personal and financial struggles, De Guzman took and applied for Career Service Examination Professional Level, which is prerequisite qualification for anyone who wants to get a job in the government. “When I passed the CSE, I realized there’s still hope for me,” adds De Guzman, as she continued to narrate how she slowly strove to hunt for her elusive dream. Without any money in hand, De Guzman mustered the courage to enroll, even as an irregular student. “After one semester, I decided to apply for a scholarship program granted by CHED. For two and a half years, I was able to work hard to get high grades and maintain my scholarship. I thank God for getting consistent grades and being a replacement scholar for 5 semesters,” shares De Guzman. “I am so blessed this year. After finishing my scholarship with CHED, Carmudi Philippines granted me a new scholarship program that will enable me to fulfil my dreams,” said De Guzman. 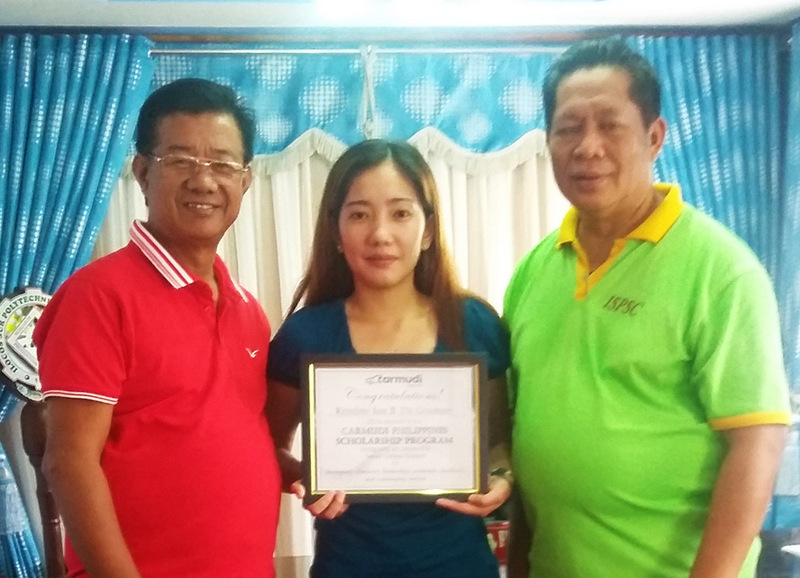 The 27-year-old De Guzman was chosen by online car platform Carmudi as its recipient scholar for her outstanding grades and attitude towards her circumstances. The scholarship program aims to help senior students who are academically excellent but financially challenged.